Sure, it’s all fun in the sun and sand at the beach. The water makes for a cooling dip and it’s a nice way to spend part of your day. But, if you are traveling a long way this summer, don’t you want to make sure the town you’re visiting has a little more to offer than miles of pretty beaches? After all, your destination should give you a little more than beach for your buck. So, we’re going to help you decide on your next beach vacation. Listed below are some of our favorite destinations that offer spectacular beaches located in even more spectacular towns. Think you know New Jersey from the “Jersey Shore”? Well, think again. Cape May is quiet, has beautiful little shops, a lighthouse, and quaint beaches. You have to pay to get in, and I guess that’s how they maintain the solitude you’ll find there. 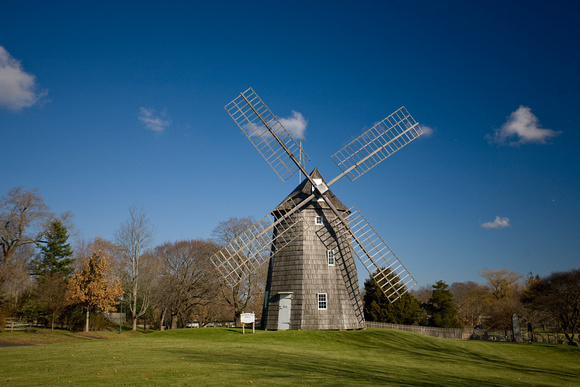 Home to the very rich and perhaps very pretentious, East Hampton is a must-see beach town whether you are one of the elite or just wish to hang around them. But there is something special about those dramatic dunes, the shingled windmills, and a town filled with small haunts that more than one trip will yield. Want to feed some huge sea turtles? Well, at Nantucket, you’ll get your chance. These beautiful creatures enthrall adults and children alike. And, if you get bored with that this little town has a lot of shopping and pretty scenery. With more than 100 courses, this city is perfect for golfers. And, of course there is the 60 miles of pretty beaches also. Talk about a nightlife! Talk about the white sand beaches! Who doesn’t know what a popular location like Miami can offer, besides the beautiful beach bodies? Well, an urban city like Miami has a lot going on at all hours and plenty of activities to choose from. Museums, Sea World, Parks, and Surfing…it’s unlikely you’ll find yourself bored in this buzzing city. This state brings in a lot of tourists, so it can be nice to choose a less visited town…well, relatively. Haleiwa maintains its own unique local culture and that gives it an appeal beyond it’s gorgeous beaches. However, being Hawaii, this town is one of the best places to catch a wave; swells reach 30 feet or more and the town plays home to many competitions. You know what’s great about West Coast Beaches? They don’t charge you. Ever! That is just some of that ‘ol laid back nature that yielded the word “dude”. Affordable prices, gorgeous vistas, amazing parks and preserves are bountiful in sunny, scenic, scintillating California. So, perhaps we’re a little biased but the best beaches (dare we say it? ), in the world are in the Golden State. What makes Santa Cruz special? It is like a hidden oasis. Among the bustle of many of California’s busy beach towns it is a little pearl of peace. But there are state parks and a university-UC Santa Cruz. With a boardwalk stretching about one and a half miles long and manicured white sand beaches, this famous and popular beach is a must-see when visiting Los Angeles. Featured in countless shows and movies, this unique boardwalk features hundreds of entertaining performers and countless interesting street vendors. Plus, it is so close to the ever exciting Hollywood and LA. But, if you want to just stay on the boardwalk, I promise you there is enough going on to be thouroughly entertained for more than a day. San Diego is a laid back SoCal town that has a lot to offer. Lovely beaches, great hiking spots, state parks, and a lively nightlife. The city is small, spread-out and has a lot to do. From the Zoo, Sea World and the Wild Animal Park you won’t be bored. By the way, a cruise on the bay is worth your time too so make a little space in your schedule.